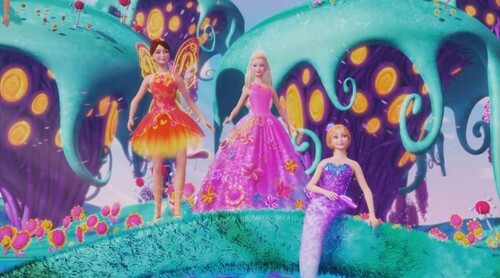 Nori the fairy, Princess Alexa, and Romy the mermaid. . Wallpaper and background images in the les films Barbie club tagged: photo barbie secret door 2014 princess alexa nori romy.